Import & Export shipping containers are used to move the Import & Export cargo 's on the container ships .The containers are essential to the efficient cargo flow of all Import & Export cargo movements. When the supplies of shipping containers are delayed or are running low due to the late return of the import containers , it may impede the efficient flow to the entire supply chain of international cargo. To alleviate the late return of Containers, detention charges are imposed by the shipping lines for the containers not returned to the designated return location within the allowed free time period. 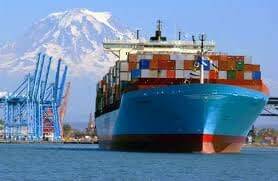 Shipping lines may vary their allowable “free time limits”, but generally it ranges from seven to ten calendar days (including public holidays and weekends) depending on the type of container used. When does free time begin? The “free time” begins from the first day the container is made available on the wharf. This is often a source of contention and some Importers may think that the “free time” commences when they collect the container. However this is incorrect a container may be made available on the wharf but the importers still need to comply with the various Customs and Quarantine border processing requirements. Anytime a container is held up in border processing, this is still considered to fall in the “free time” period.